The Ribeira Sacra tour is a great choice to discover the Ribeira Sacra region, one of the best kept secrets of Spain. It is a peaceful region, with secluded monasteries surrounded by enchanted forests that could easily belong to a fairy tale. Its cliffs form a stunning view, which becomes even more impressive when you see that in many of those cliffs the locals grow and harvest wine grapes; being such a risky business in this area that it has its own term: la viticultura heroica (the heroic viticulture). The Sil river flows through the Sil Canyon, the heart of the Ribeira Sacra. This canyon is the natural border between the provinces of Ourense and Lugo, both part of Galicia. 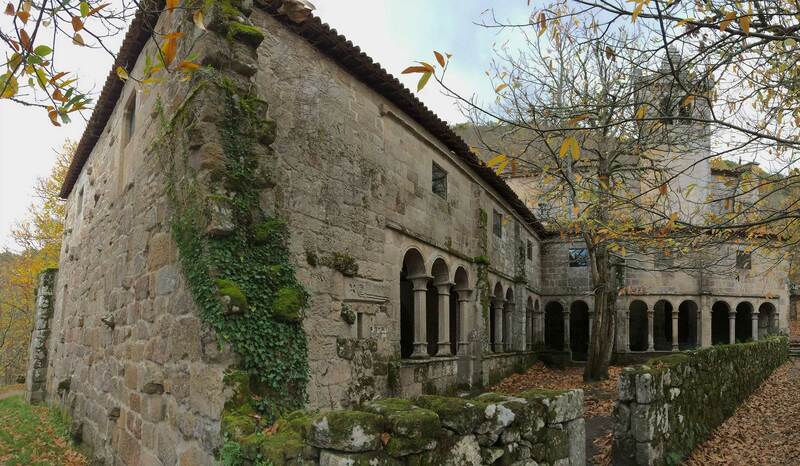 A tour around a magic place with so much history, visible through its ancient monasteries that were built there in search of a secluded and peaceful environment; perfect for those that need to get away from the noisy city lifestyle. 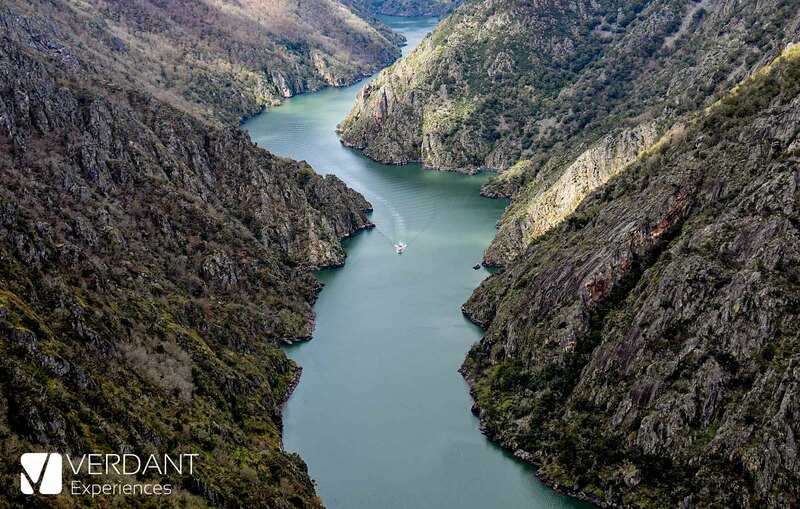 The Ribeira Sacra tour stops at the best viewpoints above the Sil Canyon, and includes a boat trip to enjoy the magnificence of the Canyon from all angles. And last but not least, a visit to a local winery to taste some of the best wines of the Ribeira Sacra Appellation of origin. 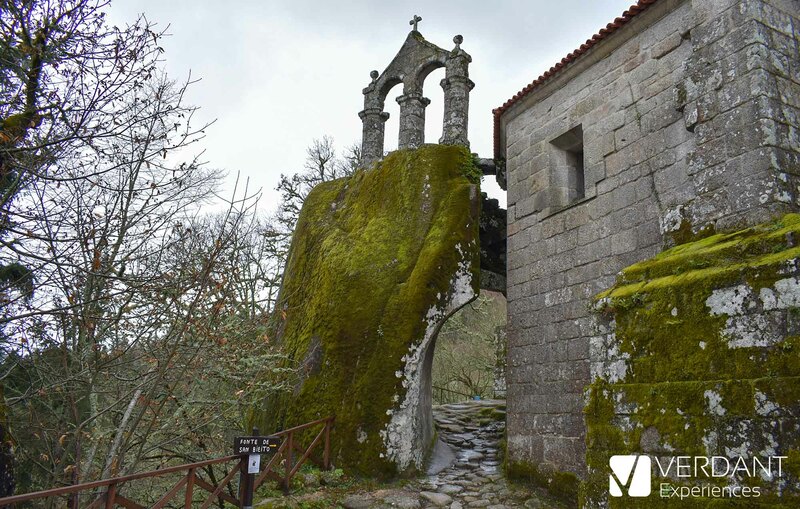 The tour includes visits to 2 out of 4 monuments (depending on the final route and/or customer preferences): *Monastery of San Pedro de Rocas, *Monastery of Santo Estevo, *Castle of Castro Caldelas or Monastery of Xunqueira de Espadanedo. *In order to do a guided tour in these monuments it is necessary to hire an oficial guide (subject to availability), with an additional cost. Otherwise, the person that will take you on the tour will accompany you to the interior of the monument only to take pictures of your group, as part of the photography service included in the tour package. The tour described above corresponds to our most common tour, but it can be personalized by the customer. For example, if you would like to visit more wineries, visit a different monastery, do a hiking trail, etc... It can be arranged. Just let us know in the comments section of your reservation, or give us a call first and we will tailor the tour based on your requests. Municipalities that belong to the region of Ourense: Amoeiro, Barbadás, Coles, Esgos, Nogueira de Ramuín, Ourense, Pereiro de Aguiar, A Peroxa, San Ciprián de Viñas, Taboadela, Toén & Villamarín. Municipalities that belong to the region of Terra de Caldelas: Castro Caldelas, Montederramo, Parada de Sil & A Teixeira. Since March 2018, if you prefer you have the option of reserving your Ribeira Sacra tour, in groups tours and with regular departures, through our website Excursion Ribeira Sacra. These new tours have regular departures from Santiago de Compostela and Ourense, in groups up to 27 people. Being group tours, they are not as exclusive as the private tours from Verdant Experiences, but they have the advantage of having more affordable prices.